The family of John Dillinger has lost a lawsuit against EA and it's all Marilyn Monroe's fault. Back in September of 2009, the family of notorious 30s gangster John Dillinger sued Electronic Arts over the presence of a tommy gun named "The Dillinger" in The Godfather and The Godfather 2. His family claimed EA had violated their right of publicity with the game and they were after some big bucks in compensation. EA opted to roll the dice in the courtroom and it turned out to be a smart move, as a judge in the U.S. District Court of Southern Indiana ruled in favor of the publisher yesterday. 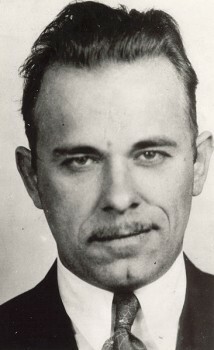 The family cited a 2006 case in which a judge in Lake County, Indiana ruled that the state's right to publicity law should be applied retroactively with regards to the county's use of the name to promote a Dillinger museum. But Electronic Arts returned fire with a 2007 case in which a New York judge ruled that descendants of Marilyn Monroe could not claim similar rights because the actress died before the law was enacted. The judge sided with EA, declaring that the Indiana Supreme Court would likely also rule that the statute does not apply to Dillinger because his death predated the law. The judge further ruled that EA's use of the name was protected under the First Amendment because Dillinger has become so closely associated with the Thompson submachine gun in popular culture.